You should know how much I love my Tolkien. My Hobbit Hole of a home office is plastered with all kinds of stuff, like my tapestry throw , my Shire and Middle Earth maps and Sting letter opener . Trust me, that’s just a taste of it all. Side nerding: I had to call Chewy.com‘s customer service line over the weekend, having not received an order as expected, and the agent I spoke with asked about my cat Rivendell, and we went on to have a 15 minute conversation about our love for the stories and what collectables we each have while he researched my order. PS: Chewy has excellent customer service, they are sending me a second bag of food for free. I love the movies, and will happily endure all ribbing for the “why didn’t they just get the Eagles to fly to Mount Doom? ?” and “it’s a year of them WALKING!” – don’t care, I loved it all. I even enjoyed The Hobbit films, for all their flaws. But this has me a little worried. Warner Bros. Television and the estate of J.R.R. Tolkien are in talks with Amazon Studios to develop a series based on the late author’s “The Lord of the Rings” novels. Amazon CEO Jeff Bezos is said by sources with knowledge of the situation to be personally involved in the negotiations, which are still in very early stages. No deal has been set. Do I want to see more epic battles? HELLS YEAH! Do I want to see more Aragorn and Gandalf? OH HELLS YEAH! Do I want to see it turn into Game of Thrones, Middle Earth? NOOOOOOOOOOO. Unfortunately there isn’t much information to go on right now, so we’ll just have to wait and see. My fingers are crossed that if they do seal a deal, the product will be much better than what I fear it may be. Now, there’s some good and some bad in here, I think. WoW always needs to be doing something new. It’s no secret that players consume new content at faster and faster rates. Adding new races is always a fun thing because it shakes up the aesthetics and gives new storylines to explore. No “new” races – I’m not overly impressed with the races offered. They are offshoots of already established races, as opposed to the brand new feel we got when they introduced the Space Goats (aka Draenei). Back to faction warring – I know a lot of people will love the Alliance/Horde feuding, but I was honestly loving the interaction with opposite factions when fighting against the Fel armies etc. More often than not, when out questing and running into another player of the opposite faction, it was a polite encounter, with us helping each other out. New customizations – Rather than these new races, make the current races we have a lot more customizable. As I saw in some WoW group, someone described their original race hairstyles as from the 90s, and it’s not a lie – my human and elf toons haven’t had a good style in ages (yet my awesome human rogue got a graphics facelift into something more cartoony, which I am still bitter about). Also, I don’t understand why the Horde is getting the Nightborne and Alliance are getting Void Elves. Night elves should get Nightborne customizations and Blood Elves should get Void Elf customizations. Add Learn Common Language – As for the Alliance/Horde feud, I suppose it’s inevitable, but I was hoping again for a third group again, that would force an alliance between the groups. I’d always thought how cool it would be to have the ability to learn the common language of the other faction in order to communicate, and even be able to group up for dungeons and raids with the other side. Maybe someday! It goes without saying that Hopper is one of the most beloved characters of Stranger Things, despite clearly having a lot of very normal character flaws. But judging from his castmates, they’re all wanting more screen time with him. Fandom Guest Wifi Signs – the BETTER Newest Trend! Have you seen one of the Cutest Ideas Ever™? They are the Guest Wifi Signs of Pinterest. Some can be kind of clever, but for the most part they just aren’t my STYLE. However, I do see a huge advantage to having a WiFi login just for visitors. It does allow to partition off your personal devices, not that your friends will intentionally go snooping. But perhaps someone in the house has work files or access through their desktop to other more sensitive job networks, and with the amount of hacking going on, it’s just an added security measure. So what does one do when they want to offer their guests the login but want to make it reflect their personality? GO GEEKY! Because this is such a cheap and easy thing, I can change it whenever I get bored! So the first thing I did was look for the decals. WARNING: I first ordered what I believed were decals from Amazon, which I thought fit perfectly, however it turned out that they were only stickers (despite the product descriptions) and I was not as happy with the finished project. So be VERY careful when you purchase decals, make sure the design or letters TRANSFER to whatever you are putting them on. 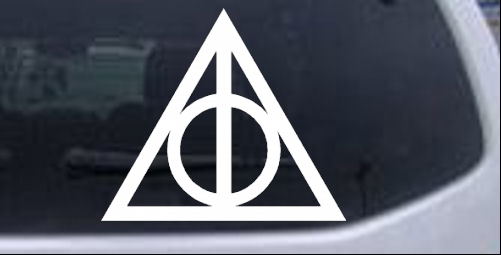 I found they have a lot of great Harry Potter things, but if you have a special request, they can help you so just contact them! I wanted something with a thick mat because I knew I wanted the decals around the network information, and found this picture frame with a 5″ picture and 4″ frame for $13.99. 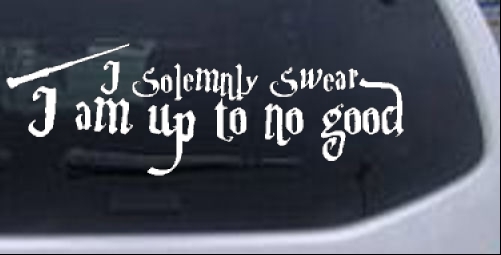 For the Network and WiFi information, I wanted to stick to the Harry Potter theme and use appropriate fonts, so I found and downloaded the Lumos font and the Caslon Antique font, which I found to be great for this project. You may also like this Harry P font which is the classic lighting bolt font, I just decided not to use it this time around. Once your fonts are downloaded, for Windows users go to the font file via Control Panel > Appearance and Personalization > Fonts – they should then be visible in in any word processing program you use. From there it was just a matter of making sure the printout fit the 5×5 picture opening of the mat – for reference, I used Lumos at font size 36 and Caslon Antique at size 32, but I did adjust the line spacing to make it what I wanted. Trimming – The wand and the very low-swooping “p” pushed the overall decal outside the visible mat area of the picture frame, so I decided to CAREFULLY trim off the wand and use that as a separate element. 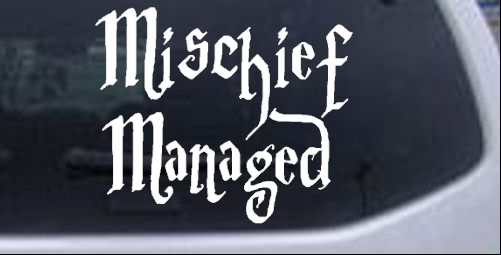 Additionally, the Mischief Managed decal was quite large, so I EVEN MORE CAREFULLY cut that so the words were separated. Cleaning – I took the frame apart and cleaned the glass (pro tip: use glass cleaner and newspaper to clean, it will leave it streak-free!). Then, on a flat surface, I placed the mat, then the glass, then the frame itself. I did this so I could visually see where the decals would best be positioned. Application – I then peeled the backing off the decals and gently laid them onto the clean glass, being sure to only touch the clear transfer sticker – I find it’s best to get the positioning right about a half inch from the glass, then bend the transfer slightly so it starts sticking in the middle and work your way out. This will cut down on any air bubbles. Pressing – Once the decals were down, I removed the frame just to get it out of the way, and used a credit card to gently but firmly press the decals onto the glass to get them to stick better. Peeling – I then picked up the corner of a transfer sticker and gently peeled it off. 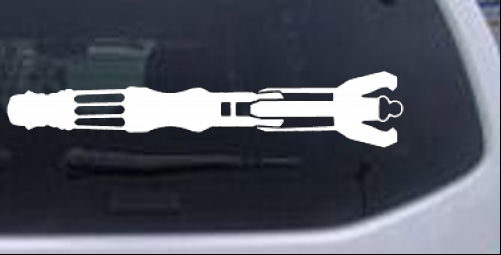 If you’ve pressed firmly enough, the decal should remain on the glass. You may find, as I did, that one or two places sticks to the transfer rather than the glass, just put it back down and try re-pressing, or coming at the peel-off from the opposite direction. Add your network info – Tape your printed network name and password to the mat, making sure it’s fairly centered. Reassemble – Put all the pieces of the picture frame back together and you’re done! 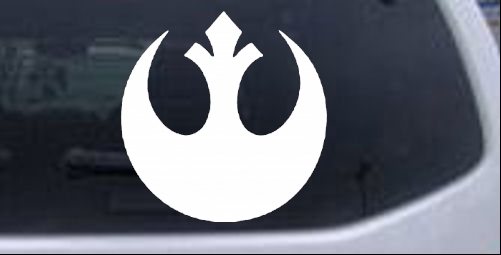 Again, be super-sure it’s a car decal , not a sticker. Hope you enjoyed! I’d love to see other people’s geeky wifi signs so link ’em up!